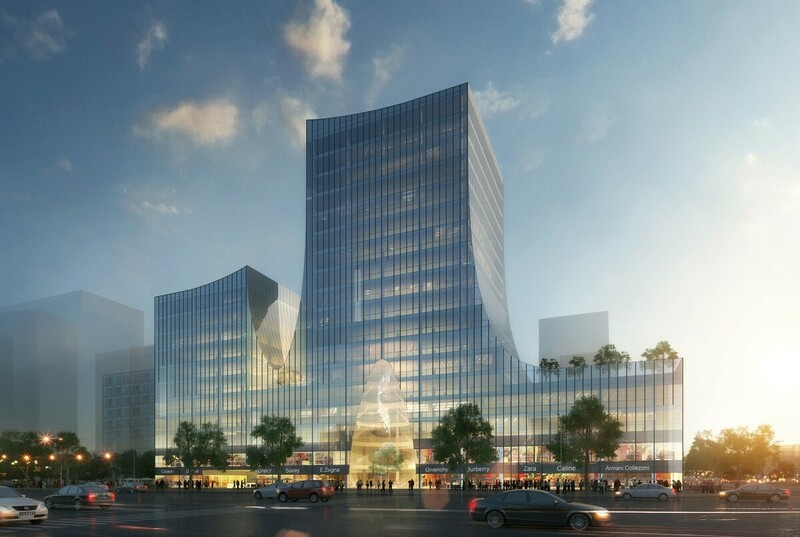 This headquarter office is situated at a prominent location near the Guangzhou South high-speed railway station. The strength of this concept lies in its simplicity. The curved massing is a mere result of the given height limitations; the curves simply connect the higher and lower volumes. 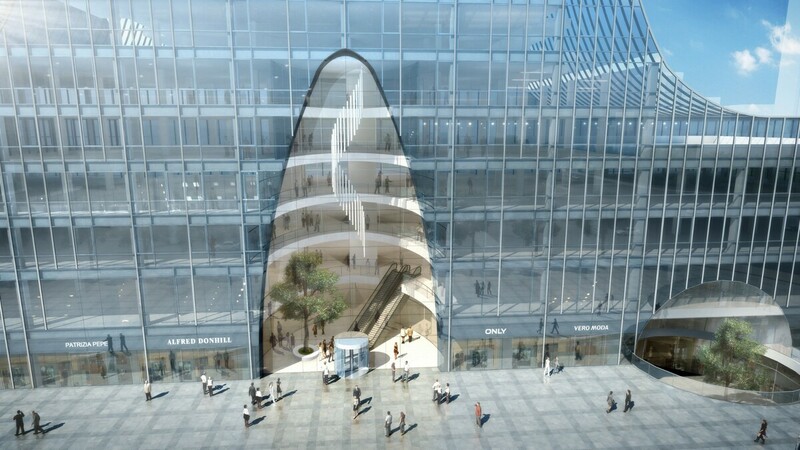 Together with the pronounced main entrance and retail podium it provides a solid destination and a powerful landmark for the big square in front of it. On the inside this volume has a sequence of prominent open spaces. 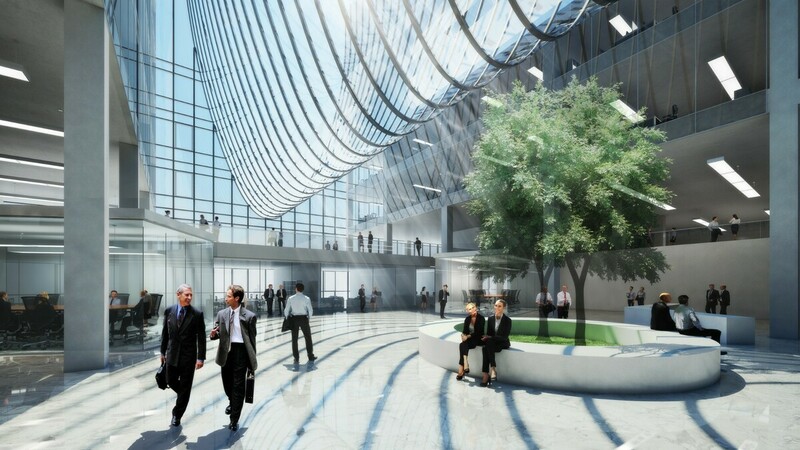 The impressive 6 floors high central entrance atrium on the main square connects to the office lounge on the north side and the spectacular sky lounge on the 6th floor. 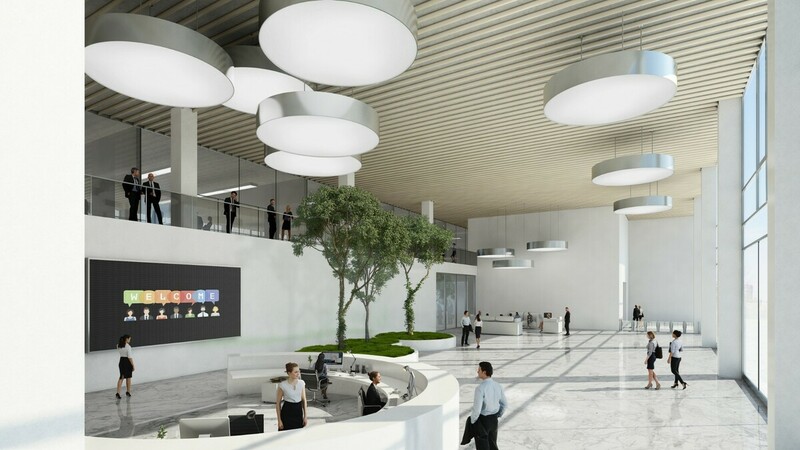 The sky lounge functions as a central platform for informal encounters to stimulate interaction and social coherence between the users, which is the key ingredient for a stimulating open innovation environment. The big 5th floor outdoor roof garden is also part of this strategy. The elegantly detailed full glass curtain wall façade provides the best daylight conditions for the users and support the building’s striking shape. 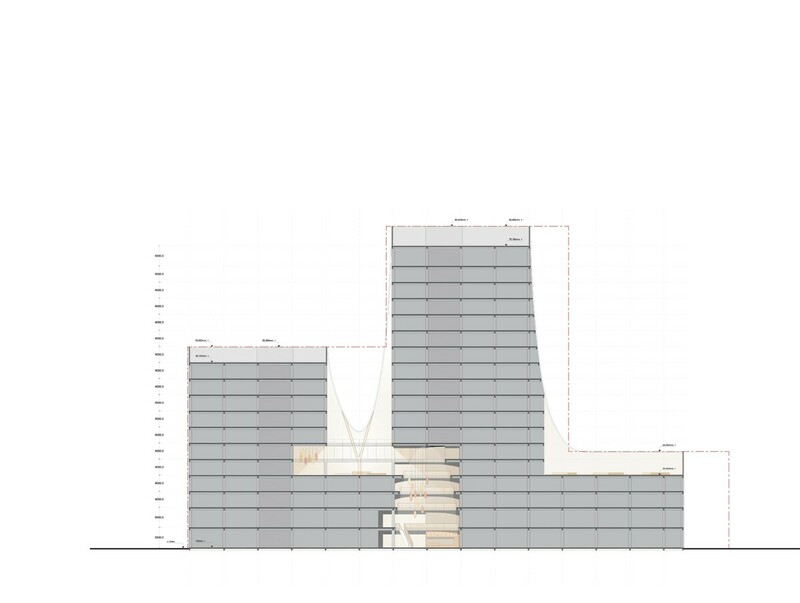 The dynamic pattern of vertical fins which gives the façade its refinement, accompany the podium and the shared open spaces on the inside.